The words echo through the room, followed by the deathly silence of Peter Brook’s music-less film. No one stirs. Somewhere far away a train chatters past. Still the classroom remains motionless. On screen, Paul Scofield is kneeling in black and white, wallowing in the silence himself. To someone passing the room, it would appear that every head were turned and every set of eyes riveted to the screen. On closer inspection, a more observant passerby may notice that the eyes are actually closed; those remaining open are downcast, reading magazines or texting under the desk. The teacher’s head nods to his chest and bounces back up as his eyes spring open, furtively checking over his shoulder. Such is my earliest memory of William Shakespeare. At that point in my life, it was a somewhat one-way relationship, consisting of him presenting all manner of ‘wherefore’s’ and ‘hath not’s’, and me not understanding anything. I was fifteen, we were studying King Lear in high school English, and I was bored rigid. To this day, I remain unconvinced that King Lear was the best option as a first play to study. I spent the remainder of that Year 9 English lesson wondering why Peter Brook could not have found a suitable soundtrack for his 1971 film. 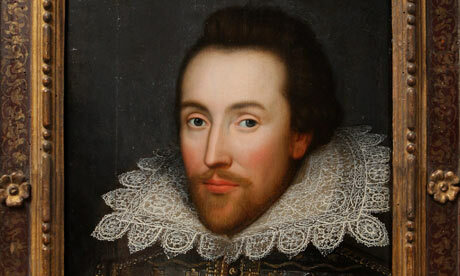 Nonetheless, Shakespeare’s works have survived the test of time. Last month, his fans celebrated his 450th birthday, and a possible Shakespearean annotated dictionary was found. To what can we attribute his ongoing success? Perhaps it is due to the unchanging structure of human society, dark desires, innermost thoughts and basic truths. And Shakespeare, in his wisdom and unerring insight into the human spirit, successfully encapsulated these desires, thoughts and truths in his tragedies, comedies and sonnets. This has permitted his writing to exceed the inevitability of change and still retain modern appeal. If you’re unconvinced, watch Baz Luhrmann’s Romeo and Juliet. But this doesn’t mean we all fall in love with Will and his work the first time we read it. In fact, some of us never enjoy it, particularly not to the point of ‘Bardolatry’, as George Bernard Shaw named Shakespearean worship. At fifteen, I understood nothing of King Lear, could not see the universal themes and didn’t want to learn about them anyway. Instead of a classroom romance, my appreciation for Shakespeare has been years in the making, stimulated by a decade of study and a maturing of spirit, both as a woman and as a writer. I have begun to appreciate the playwright’s anachronistically equal treatment of woman in many of his plays. Having recently read As You Like It of my own accord, I finally began to understand the humour and boldness of gender in his plays. The decision to dress Rosalind as a man before allowing her to speak her mind underlines his shrewd understanding of the position of women in his society. In addition, it is Shakespeare’s capacity to do so much in so few words which makes me envious of him as a writer. To understand one’s own society so entirely and be able to pair this understanding with a precision of written expression which appeals to a wide audience is surely many a writer’s dream! Shakespeare offers lessons on gender in the Elizabethan era, on writing, and ultimately about timeless human truths. It is our job to accept what he offers. In my case, it took fifteen years. And now, I can’t do without the bent pages of a well-loved Shakespearean play following me everywhere I go. This entry was posted in Arts, Books, Culture and tagged books, Shakespeare. Bookmark the permalink.